Respect, relevance and ambition are the foundations on which we build our architectural response. To be efficient, a project needs a methodology capable of acutely investigating on the place's history, flows, uses, legends and identity. The proposal must also take on board all the economic, technical and sociological parameters in order to bring a comprehensive answer, a refined solution that is able to implement the city over the city. Finally, it is a goal, a projection over time of the future uses by the public, for an evolving programme which has no set dates and must be questioned on a regular basis. We tackles urban planning projects with empathy, modesty and strong beliefs, with distinct architectural expressions, functionalities to decompartmentalize, amenities to hybridize and individualities to cross-breed. Our urban reorientations are all the expression of one single and simple ambition: making places livelier and richer by enabling everyone to express with pride where he/she is coming from and heading to. Designing a shopping and leisure centre requires first and foremost a clear understanding of the history, sociology and dynamics of the place where it will be located. It also means putting it into perspective with the site's future users. Indeed, shopping and leisure centres are more and more combined with housing and office programmes. We have to work as upstream as possible from the project by positioning it not as a mere shopping centre, but rather as an authentic urban attractiveness hub, a destination per se. This fertile choice contributes to the integration of the ever faster evolution of the ways of life. Lastly, it favours the emergence of new architectural ideas that benefit to the comfort and well-being of the end user, i.e. the client/customer. Seeking a superior functional facility together with a vast park blooming with green, the architects have created a landmark appropriate for the future vision of the exclusive residential district of Hongqiao Area. The form evokes a gently streaming enormous waterfall. From midair the small, delicate flow undulate in tranquility, gently billowing outwards at the bottom. It is a single continuous movement of which the flow expands and gradually results in a fertile cataract, falling onto the bedrock. Thus this building, in contrast to the masculine, geometric-linear urban structure of the surroundings, gives feminine gracefulness and softness, emphasizing the affinity with the nature in the park in front. Continued from top to bottom is the vertical fin, resembling a spray of water. The reflection of these fins, change of the weather, path of the sun, and the position where people walk, brings the whole building in constant transition, making it breathe. The flow and movement of the vertical fins emerge in the night sky, as it illuminates at night. Compared to the faĂ§ade which has a vertical curved surface, the interior of the underlying cataract has four uniquely curved loops, surrounding the center atrium creating a space which overlaps horizontally. A skin that looks like a waterfall switch to glass at the top of the atrium, turning it into a top lighting which lavishly absorbs the natural light. Animating this environment facing the atrium is an event space which makes seasonal events possible and an â&#x20AC;&#x153;image fallâ&#x20AC;? in which the back side of the elevator is used. pursuant to a competition won in 2009.
that echo the surrounding "Art Nouveau" buildings. luminous architecture. They create a "flagship" rooted in the urban fabric. skin made up of local traditional materials. integration of such equipment at the city heart and the creation of a trade & leisure area. becomes a luminous ribbon which fades out above the food-court looking out onto the sky. historic symbolic structure by offering 8-m-high shop windows. Galeria Katowicka is creating an urban continuity between the various neighbourhoods. The symbolism of the station's monumental entrance is revived. RSP Architects Planners & Engineers (Pte) Ltd.
Plaza Singapore is a newly renovated and extended retail destination located centrally in Singapore in the famous Orchard Road shopping district. A key driver for the design was the creative conversion and amalgamation of three floors of prime commercial office space from two separate towers into a single unified retail space. Seamlessly integrated with the existing Dhoby Ghaut MRT interchange beneath, the new scheme enhances public realm provisions and pedestrian connectivity in the area. Key to the design was the creation of a dynamic new façade wrapping around the existing mall and office towers, seamlessly bringing together the previously discrete elements. The elegant and fluid ribbon shaped façade was inspired by the movement and flow of the historic Stamford Canal in the area and revitalized an existing underused plaza through the creation of several large canopies and enhanced active frontage. The interior of the scheme benefited from the addition of two large atria spaces between the existing towers which allow large amounts of natural daylight into the lower floors and to the MRT station beneath the development. In-keeping with the façade design, the interior design of the development saw a focus on dynamic forms, flowing patterns and resulted in a unique retail environment unrecognizable from its previous office use. The Galleria on Al Maryah Island is a 130 unit, 33,000 m² GLA premium retail and dining destination, sitting on the spectacular waterfront with stunning views across the new promenade. The development offers a contemporary and relaxed consumer experience, set in the grounds of the opulent Sowwah Square scheme. Inspiration for design has emanated from the exclusive and unique brands that occupy the centre, delivering a sophisticated prime retail location. The Galleria boasts one of the highest concentrations of luxury brands in MENA, including Burberry, Dior, Gucci, Louis Vuitton, Mulberry and Prada. The Great Room houses an impressive collection of labels, which are displayed in impressive double height shop fronts, enclosed by a glass skylight. The project is the vision of Gulf Related and Mubadala Real Estate & Infrastructure (MREI), who have developed Abu Dhabi’s Al Maryah Island. The site incorporates the city’s new Exchange building, hotels, shopping and leisure facilities. The old mall was formed by separate buildings with their entrances faced to an oversized court yard. The new building offers a recognizable face towards the main road with a clear entrance. Home & Living Mall Ekkersrijt presents itself as a destination on itself, instead of separate shoeboxes. The main shape consists of “randomly” laser cut aluminium cassettes that are mounted on a red background. The pattern continues past the edge of the cassette. This makes that the façade looks like a continuous skin, instead of separate plating. Parking is fun! Using ramps, which are cut out in the façade, cars reach the parking roof. The movement of cars in the façade shows that it is possible to park on the roof but also deliver an entertaining spectacle for the people who walk by. 17 curved steel columns reach up to 25 meters in the sky, forming an attractive landmark to be seen from a large distance. These columns form the construction of a new central building that is placed on the former inner square. A central axis on the parking roof leads to two bridges that cross to the central building. From here visitors descend to the stores on the first floor. Because most visitors enter the complex from the parking roof, first floor-tenants profit from the same traffic as ground floor tenants do. This architecture also creates an overall vibrant atmosphere, not only at eye-level. For the roof of the ground floor entrance a special construction is made. The full construction with large steel tie rods is kept visible and the span runs up to 35 meters. Diamond-shaped surfaces of the steel structure are filled with concrete elements with round glass bricks. These give a beautiful experience of daylight and shades from the parking cars. Other areas are filled with a white, acoustic stretch ceiling. Aeroville, shopping and entertainment center, inspired by the imagination of the voyage will be the “city center” of the previously untraceable, vast zone. With fragmented blocks, it is an open space in which the airport inoculated its cosmopolitan dimension of travel and the city, this of flux and plural activity. The airport is the iconic space of a new migratory global culture, transforming Aeroville into a metaphor of the journey joining this global usability. The site of Aeroville is at the edge of the airport zone at the extremities of the paths of Roissy-Charles de Gaulle 2. This plot of 11 hectares in the heart of the freight zone is large enough to contain terminals 2E and 2F, Le Forum des Halles, or part of the Marais district of Paris. The Aeroville mall is designed in the manner of a city rail system, making a clear distinction between the public space and the built environment. The commercial program around the interior streets is fragmented into blocks of varying heights and dimensions referring to the islands of the city. The project is in contrast with the usual proportions of this type of program, flat and uniform, and consistent with its function as a participant to travel and escape. The opening of the building and its character, non-generic and non-repetitive, form a space devoted to commerce, a public form that promotes exchanges and strolls. The architectural design presents the originality of this type of development solely on a single level of retail around a covered street in the form of the number eight, along which are arranged the program components. This inner street level is accessed from rue des Buissons, facing the bus stop and offices of the freight area. Parking area is hidden under and on street level. The project has taken part of the sloping site, and the north entrance to the parking is on the natural terrain, providing natural light and ventilation to the parking lot. The parking for staff and the cinema are located in the center. The surroundings are freed from vehicles and are vegetated allowing the reconstitution of an ecosystem. idea helped back to the main design inspiration—the diamond with its beauty and nobility. the design winning in the investor’s closed competition. 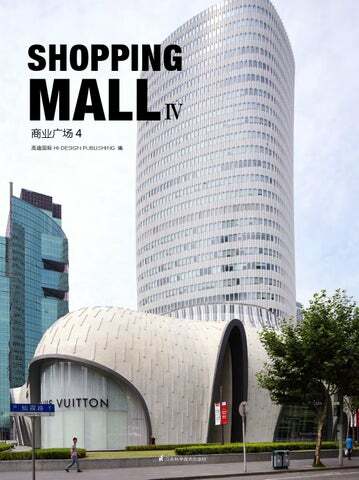 propose a new image for Clif shopping centre which will become a new architectural icon. exclusive and exceptional look to the facade, within the established budget. porous, non-toxic, UV ray resistant, environment ally friendly and easy to fix and maintain. by the black external cladding for clarity. should give it the clarity of form and a recognisable image. pergolas, pedestrian paths and street furniture. Pearl Plaza is a new multifunctional centre located in the southwestern end of St.Petersburg. Pearl Plaza represents the main gate to the territory of Baltic Pearl, the Chinese invested territory development by Shanghai industrial investment Co ltd (SIIC). The project is implemented by Pearl Plaza llc, the joint venture founded by SRV Group and SIIC companies. The total amount of investment is 140 million Euro. The architectural concept of Pearl Plaza was developed by Finnish bureau Larkas & Laine Architects Ltd. The first phase of Pearl Plaza is the shopping center that takes a very strong position in the retail competition in the location area being the only one entertaining and shopping destination in the neighborhood. The rapid development of the district secures the high demand for the retail services Pearl Plaza offers on 96,000 m² of GBA and 48,000 m² of GLA. The tenant mix includes Finnish grocery, household appliances and electronics and children goods hypermarkets, multiplex cinema, strong fashion retail mix, children playground area, food court and panoramic restaurant——more than 120 tenants total. The leasing for Pearl Plaza was performed by Colliers International and SRV’s own leasing teams. The first phase of Pearl Plaza was put into operation in August 2013; the construction of the II phase will start in 2014.
estate, restaurants, coffee houses, bars and private residential objects. engineering, structural calculation, computes graphics, and fire engineering. solutions to achieve that end. ambitious owner as well as for the user/client. retail and multi-use developments design worldwide. sketches to the very final details. creates life, SUD creates the city. desire: making SUD a stimulating and demanding agency. environment. As retail architects and specialists, CPU Retail Architects can bring a fresh approach to each project, successfully merging innovation and international experience with local knowledge, aiming to create an unique ”sense of place” to each of its designs. A.Pashenko Creative architectural workshop A. Pashenko was founded in 1995. The studio is designing residential and public buildings from sketch proposals up to the final delivery of projects. themselves as an architecture company. That was back in 1995. Today, BEHF consists of about 100 architects with competencies and experience and it has established a network stretching beyond the Austrian borders. Thereby, BEHF clients are in the position of being serviced in a “one-stop” manner – from the phase of planning over supervision for execution until project completion. Regardless of the place of location, BEHF Architects render services for their clients in the scheduled time and according to the projected costs. special, large and small projects for more than 25 years. of the principals with the efficiency of delivery and reliability of a major architectural firm. Its affiliated firm, ArquitectonicaGEO, provides landscape architecture services. the Middle East office in Dubai. process from concept design to completion of the buildings. of unique architecture and mixed-use projects throughout the world. residential and industrial buildings as well as hotels and hospitals. The company founded in 1989 is focused on partnership with the clients, collaboration, client satisfaction and professional service. East, former Soviet Republics, Europe and the UK. architecture and design awards, LAB is published widely in books and magazines in over thirty-five languages. Carcassonne, France in 1963. He lives and works in Paris. people working in over 50 countries. stand for Production, Conception, and Architecture. are inspiring, enduring, cost effective and commercially sound. the design equation for every project they undertake. development in Pingtan Island, China. Urban Regeneration of a Rail Yard in Turkey. and the Jerde Partnership, where he was a vice president and design principal. Shanghai, China; Zhongxun Times in Chongqing, China; The Fujian Photonic University in Xiamen, China; Moonbay Renaissance Hotel in Changzhou, China; Greatwall Changchenghui Mixed Use Development in Wuhan; Summer International Shopping Mall in Zhuhai, China; KL Gateway in Kuala Lumpur, Malaysia; Mavişehir Residential Development in Izmir, Turkey; and Gap Inşaat Tower in Istanbul, Turkey. the heart of green Mokotow, just outside the Warsaw CBD. projects have set benchmarks of quality in Polish architecture. influence on tendencies and directions. In the mid-1980s, the interest moved increasingly to concrete building commissions. strong regional relationships, access to deal flow, and fund raising capabilities. development opportunities in Abu Dhabi and Saudi Arabia. largest cultural centres – the Vienna Museumsquartier – which led to international acceptance. Since then, the scope of duties has expanded continuously. Besides further significant cultural buildings, numerous commercial and office buildings have been built. This year the fourth shopping center, the Boulevard Berlin, has been completed. landscape architecture and interior design. SPARK creates distinctive projects across Asia, Europe and the Middle East. Boasting a dynamic team of over 100 employees spanning 16 nationalities and three continents, SPARK combines the best experience of international and local talent. Driven by a philosophical approach to create architecture that is pragmatic, social and convivial, SPARK works closely with clients to create sustainable architecture that is underpinned by financial viability and the desire to improve the quality of life for all. With a presence in Beijing, London, Shanghai and Singapore. and major cities of the country. SRV’s focus in Russia is on commercial real estate. capital into an environmentally, socially and economically sustainable, world-class city. MREI works to international standards of quality, functionality and sustainability. A operators, which are vital to Abu Dhabi’s growing luxury tourism industry. stores. A swimming pool at YUSUIKAN(1993) that investigates some of the themes of the more recent project, FUKUSHIMA LAGOON MUSEUM(1997) which won the Architectural Institute of Japan Annual Award, the AOMORI MUSEUM OF ART, the Grand Award of the international competition completed in 2005 and opened in 2006. An artwork at U bis shows another side of his creation as an artist. Commended his architectural achievements, Jun Aoki was awarded the Minister of Education’s Art Encouragement Prize in 2005. 9town - studio 9town - studio was set up in January, 2002, with 2 branches in Shanghai and Suzhou. It has the Class-A design certification awarded by Housing and Urban-Rural Development and its business includes urban design, architecture design, landscape design and interior design. Over 10 years, 9town - studio always advocates the design concepts and professional aspirations with combination of art, technology and life, in order to make design open and become a real game which feels space, design life and construct future. Jaime Martinez Molina (Founding Partner), Cristina Barros Guerton, Sergio Galán Rubido, María Meroño Pardo de Vera, Blanca López-Sors Romeo, Monserrat Giménez, Daniel Rodriguez, Carmen Angulo and Víctor Corostola, MMO Arquitectos S.L., arlos Lafuente Arroyo, Interdeco Moreira & Jove S.L., Architectural studio A. Pashenko, 9town - studio, Studio Daniel Libeskind. Architekt Daniel Libeskind AG, Grupa 5 Architekci, Pracownia Architektoniczna Czora & Czora, CPU Retail Architects, Gordon Affleck, Jamie Webb, Bernice Kwok, Kevis Wong, Nick Chan, Jason Easter, Francisco Fajardo, Yao Ma, Yao Yap, Brian Fok, Nick Benner, Mike Kwok, Colin Ashton, Ru Chen, Xuan He, Ryan Leong, Alicia Johannesen, 10 DESIGN, Benoy Ltd, Gulf Related and Mubadala Real Estate & Infrastructure, RSP Architects Planners & Engineers (Pte) Ltd, BEHF Architects, Ortner & Ortner, Neumann & Steiner, Philippe Chiambaretta, Production - Creation - Architecture (PCA), Smertnik Kraut Architekten, Johannes Kraut, Thomas Mayerhofer, Rene Schmid, IASP LLC, Sergey Egorov, Larkas & Laine Architects Ltd., Leena Nykänen (Project Manager), Robert Trapp, SRV Russia OY, Hannu Toivonen, SRV Development LLC, Angelina Maniakina, Sud Architectes, 5+design, Tim Thurik, Mark Welz, Mi Sun Lim, Randy Brockman Victoria Brash, Mohamed ElSheikh, Marshall Ford, Irfan Shaikh, Mark Commentz, Sharon Huang, Warren Riggs, Daniel Penick, Melissa Hsu, JUN AOKI & ASSOCIATES, Marcel Peter, Toru Murayama, Mirei Uchibe,Yoshitaka Miyauchi, Arquitectonica, Bernardo Fort Brescia, Laurinda Spear, VVKH Architecten, Gerrit-Jan van Rijswijk, Fons Verheijen, Tijmen Versluis, Marek Tryzybowicz, Bose International Planning and Architecture, Mix StudioWorks. ACKNOWLEDGEMENTS We would like to thank everyone involved in the production of this book, especially all the artists, designers, architects and photographers for their kind permission to publish their works. We are also very grateful to many other people whose names do not appear on the credits but who provided assistance and support. We highly appreciate the contribution of images, ideas, and concepts and thank them for allowing their creativity to be shared with readers around the world. 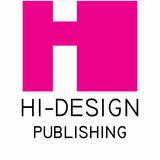 HI-DESIGN INTERNATIONAL PUBLISHING (HK) CO., LTD.